The best thing about being in a relationship is getting to spend some quality time with your better half. Whether you’ve been together for ages or are a new couple, there is no better opportunity to do this than going out on a date. It is even more exciting when the date is something unusual that both of you will remember. So, instead of the conventional movie and picnic dates, why don’t you try an adrenaline-filled outdoor escapade in a spooky location? 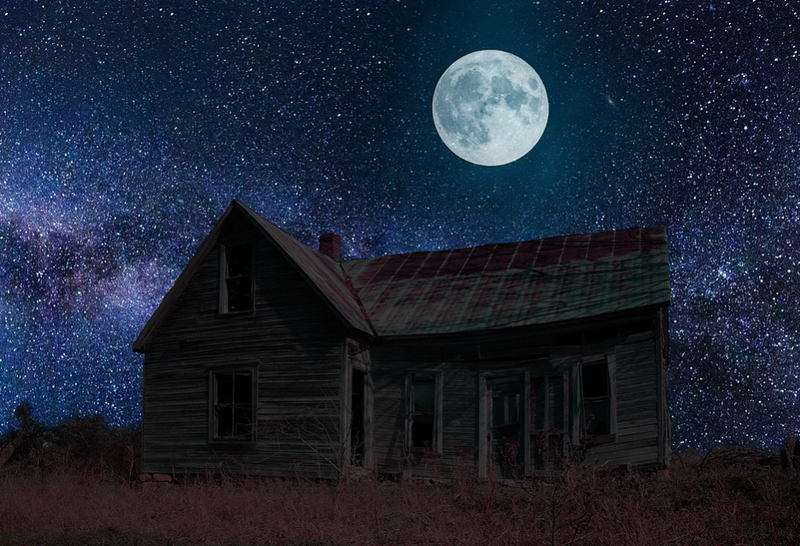 In this article, I will present you the best haunted locations you can take your date to for an adventurous and hair-raising romantic experience. And if you’d like to make sure to record everything so you can all watch the footage on another date, then make sure you bring a decent ghost hunting camera with you. This 150-year old cemetery is the final resting location of slaves and soldiers from the Revolutionary War and Civil War. The cemetery is located in an isolated area, deep in the dense woods and involves a drive down an abandoned dirt road. An eerie silence defines the area, with old and rugged tombstones lying next to one another. Visitors to the grounds have reported sightings of ghostly figures and hearing sinister sounds from the dead who come to walk in the night. This would be the creepiest place to take your girlfriend for a date to remember. The harrowing voices will ensure they never leave your side and the shadowy figures will keep your eyes and ears open in anticipation of the unexpected. The tension in the air will bring you closer to each other. Legend has it that the Village of the Damned, also known as Dudleytown, was founded by the Dudley family in the 18th century. This aristocratic family earned an infamous reputation of treachery and scandal that transformed the sleepy settlement into a haven of horrors which saw children disappearing and scores of people losing their sanity. Presently, Dudleytown is an abandoned, lonely site with a thick dark forest. The atmosphere is dead silent with no signs of life anywhere close by. This is the perfect place to get lost with your lover and learn how to depend on each other if you’d like to feel what it’s like to be the only people on earth. A ferry ride from Delaware City will take you to Fort Delaware State Park. This beautiful park consists of amazing picnic spaces, wildlife and of course ghosts. The pentagonal fort which assumes a spooky, medieval design was built in 1859 and is well known for the haunting activities around it. The tunnels in the fort are dark and scary, and the air is tense. There have been reports of eerie noises coming from inside the tunnel with cannon fire and steady movements. The park offers a good location for an isolated picnic with your partner and amazing views of the water below while standing on the fort. The scary setting of the park will have you holding tight to each other and the chance of meeting a ghost will keep your adrenaline flowing. The Ohio State Reformatory is a historic prison in Mansfield that was built in the late 1800’s. It is a grandiose facility with multiple cell blocks and continuous narrow corridors. At least 200 prisoners died within its walls as a result of deplorable living conditions and brutal treatment by the guards. A lot of negative energy surrounds this building with numerous ghost stories on record. For example, the road leading to the prison is haunted by the ghost of a woman who suffered horrible events in that area. You can try walking in the same halls that some of history’s most notorious prisoners did and go hunting for some paranormal activity with your better half on self-guided tours. Waverly Hills used to be a Tuberculosis Hospital that ran from 1911 to 1961 and housed patients who were hoping to recover from the deadly ailment. Unfortunately, a significant number of the patients didn’t make it and this was before a more effective treatment came about in 1943. This abandoned hospital is infamous for its ghost sightings with Room 502 being specifically the standout. It has been reported that spirits of the dead still roam the corridors of the building and a ghostly nurse can be heard making in the background. A romantic visit to the Waverly Hospital would make for the perfect outdoor adventure as you roam through the quiet corridors with hands held tightly together. The highlight would be a visit to room 502. The feeling of cold air grazing your neck as the ghost nurse passes by will be enough to make you scream in fear. The Murder House has maintained the same look it had over a century ago when the grisly murders took place. On the sixth day of June 1912, a couple, their four kids and two other children visitors were butchered by an axe-wielding intruder while they were sleeping. The abandoned wooden house features a classic design of medieval architecture with old furniture and other artefacts. There are records of paranormal activity in the house involving children’s voices, moving ladders, falling lamps, and flying objects. This is a scary location that you can take your date on a tour as well as try out the especially dreaded overnight stay alongside two other couples. The Bonaventure Cemetery features a resident ghost-ambassador of a little girl known as Gracie. Once the sweetheart of Savannah, Gracie would entertain guests with songs in a hotel that his father managed; but she died of pneumonia at the tender age of 6. Her grave became a shrine and it is believed that she continues to play in the square she once lived. The quiet cemetery contains numerous statues and figures that alter their faces depending on whether they like or dislike a visitor. You can bring your date along to visit Gracie and bring her some toys to play with. Be sure not to upset her as her cries are spooky and will definitely get your heart pumping. A set of trees bend eerily and unconventionally in one direction as you enter Hummel Park. The air is tense and the atmosphere is dead silent with nothing mobile in sight. It is said that the trees were used to hang people for so long that the branches permanently bowed as a result of the bodies weighing down on them. Strange things have been known to take place here with howling wolves and rushing steps being reported. This park makes for a nicely isolated setting for two lovebirds who are out to have an adventurous time as they test their tolerance for paranormal activities. Last tip, if you’ve been taken on an exciting ghost hunting date, you can return a favour by getting your date a paranormal gift worth having.